As far back as I can remember, my brother taught me to appreciate the forest and every little wonder within it. Much like he taught me to appreciate reptiles and amphibians, he also sparked my interest into the mysterious world of Fungi during my teenage years. He would take me along every year in late April to go morel picking with my cousins who lived in Ashland. We would go to our cousin’s best scouted areas for hours to find these elusive treasures. If we were lucky enough to find many, we usually followed this up in the evening with a tasty meal of delicious mushrooms! This spring tradition carried on for years to come. During my college years in the early 90’s, my brother started to scout areas closer to home in Akron, so our bounties became even more plentiful and diverse. My brother being a chef for most of his life, had prepared several delightful meals over the years of a variety of morels for us to enjoy during the springtime season. During this time, unfortunately I experienced a severe poisoning leading back to these delicious little gems. Even though, I did not believe it myself and had ate these most of my life, I ended up in the intensive care unit of the hospital for a few days I will never forget. Although I had went through this poisoning that almost destroyed my liver, a few years later I unsuccessfully attempted to eat two very well cooked deliciosa morels only to find myself in anaphylactic shock within twenty minutes after I had eaten them and another few days in the hospital. From then, I accepted the truth that my body chemistry had changed and I had developed a very rare allergy to this particular species of mushroom. I blame no one but myself to this day, but it’s tough to part with something as tasty as morels! But thankfully, I can eat most other species of mushrooms to this day with caution. Despite I was poisoned those two times, I continued to pick every season with my brother and even got a better eye at finding them as well. I would envy the rest of my family eating our precious spring charms for years to come. This tradition carried on until my brother passed away of a seven year fight with a rare bone marrow cancer known as Multiple myeloma in 2007. This leads me to now, and how much more I appreciate and respect the mesmerizing world of Fungi and not just species of morels. In the summer of 2010, I finally decided to join Ohio Mushroom Society and actually learn more about the actual diversity of mushrooms species we have in Ohio. Being a member has lead me into not only starting to recognize the diversity of Fungi species we have throughout the world, but the role of importance they hold that we are now only discovering in the past decades! 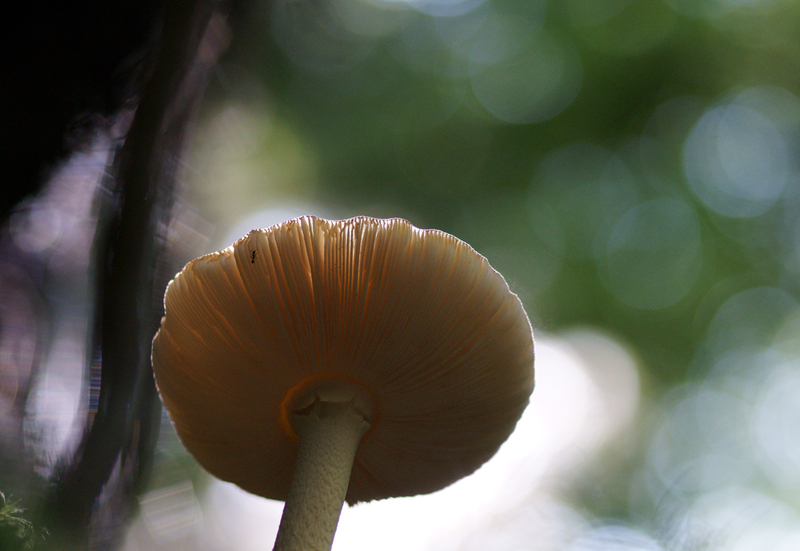 It is said that there are well over 2000 different species of Fungi alone in Ohio. Which to me sounds quite outlandish as most of us have only seen a small number of those species, if any at all in the wild or urban areas. This is not very uncommon amongst are Western upbringings as opposed to Eastern societies and how their knowledge of Fungi has far surpassed ours for centuries. We are only now starting to understand what they have carried on from generation to generation. Leading Mycologist–Paul Stamets’ groundbreaking research and publications alone are fascinating and he is revolutionizing the importance of these elusive charms of the forest! Mycoremediation may just save this planet some day. And understanding the importance of fungi in medicine may just save our lives! Knowing this makes me eager not only to learn more about the importance of Fungi, but to experience these individual species in their natural environment. To be there when these wonderful and mysterious things are growing in their natural state is a personal charm. To capture these moments with my camera lens is the reward and the education undeniably. In the next few months, I am revealing a Ohio Fungi series that I started in early 2011 and will be an ongoing collection much like my Delicate Balance nature series I have executed over the years. Because the diversity of species is immense, I will be presenting this series in seasonal installments throughout this year for those to enjoy.